/ Modified apr 23, 2015 5:53 p.m. Scientist, food activist and writer raises awareness and enthusiam about plants, food, and a healthy environment. Gary Paul Nabhan, the W.K. Kellogg Endowed Chair in Sustainable Food Systems at the Southwest Center, and Director of the UA Center for Regional Food Studies. 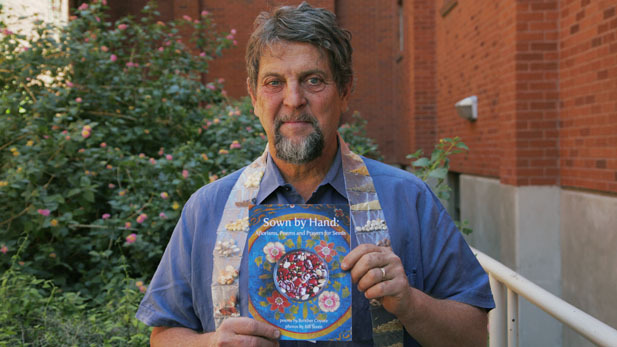 Gary Paul Nabhan, PhD was born in Indiana but he has spent most of his life in Arizona when not traveling to different parts of the world addressing indigenous foods and local communities. Nabhan is a huge fan of food, culture and ecology, and he credits part of his passion to his Lebanese ancestry. "If you know anything about the Lebanese, when you knock on their door they bring food to you and so I grew up the grandson of a food peddler and was just always around wonderful food and vegetables," Nabhan said during an interview at the Arizona Public Media radio studios. Nabhan is the founder of Renewing America's Food Tradition and a co-founder of Native Seeds/SEARCH a Tucson-based non-profit organization that works to protect the seeds of native and heirloom species. 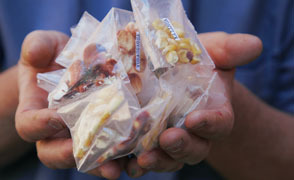 Nabhan holds a variety of heirloom and native seeds. Currently, he is working on the International Seed Library Forum to be held in Tucson May 3 to May 6, 2015. Nabhan is employed as a research social scientist at the University of Arizona's Southwest Center. In 1990, he was one of the recipients of the MacArthur Fellows Program, an award that comes with a stipend of $625,000 to the honored academics, scholars and artists. "Personally it gave me a little bit more confidence to continue on two dual paths," Nabhan said. "The writing that I've done as a creative writing teacher and almost daily writer. I'm no longer doing non-fiction books, I can't write prose anymore so I'm just doing poems. But at the same time I have an orchard and I save seeds and I go out collecting from wild habitats to help conservation projects," Nabhan added. "So the MacArthur award allowed me to not be embarrassed that I was working both in the arts and sciences at the same time." 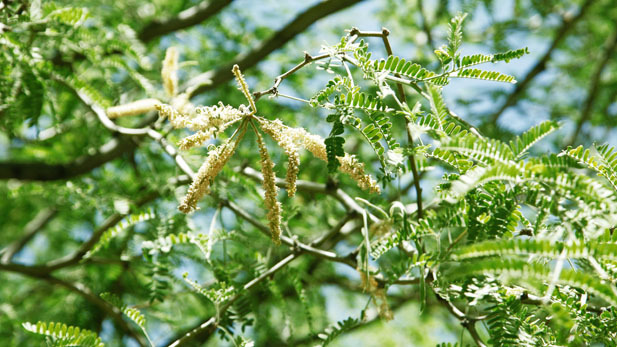 Nabhan encourages using local food sources such as mesquite trees in the Sonoran desert.